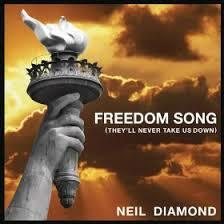 This is Neil Diamond's latest song in solidarity of the Boston bombing. God bless Neil Diamond and his wonderful band NDRRT. What a wonderful performance by Neil Diamond.